Yvonne Keefer’s “Missions for Life” journey began with parents who taught her that love leads to action. She trusted Jesus at a young age, learning that God’s love is for the nations. Today you can “do something” in Yvonne’s honor. Make a donation to KNCSB — put “Yvonne Keefer memorial” on the subject line. 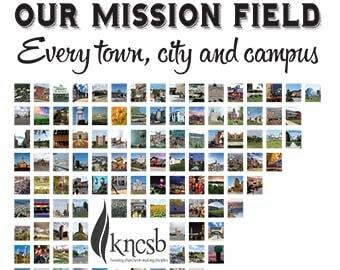 Send donations to KNCSB, 5410 SW 7th St., Topeka, KS 66606. Buy a brick engraved with Yvonne’s name to be placed in the “Walk of Faith” garden path at WMU-SBC in Birmingham, Ala.
Renovate the Annie Armstrong Lobby and Corridor in the WMU-SBC building. The WMU building was built and decorated in 1983. The time has come to bring modern technology and décor into the building. The Annie Armstrong lobby features artifacts and information about this woman whose motto was “Go Forward.” She was one of Yvonne’s heroes of Christian faith and living out missions for life. Nikki Riley is president of Kansas-Nebraska Woman’s Missionary Union.